5. 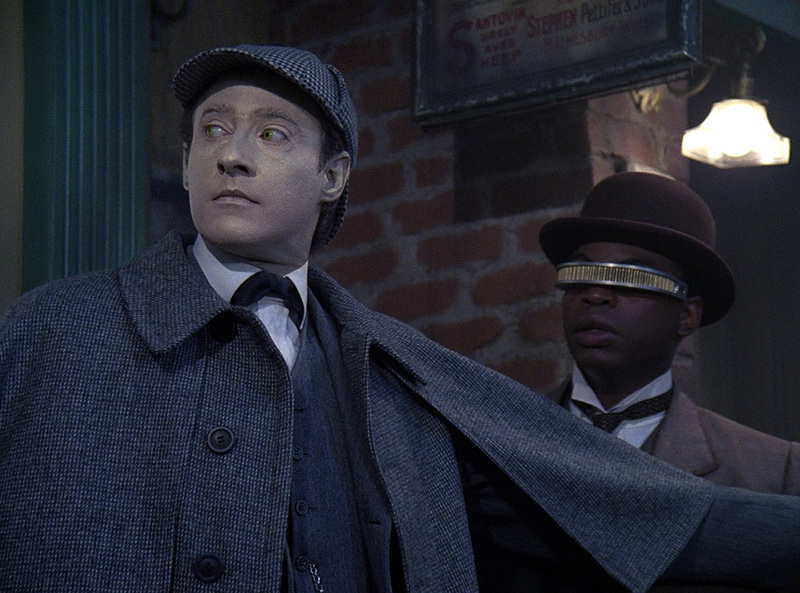 Elementary, Dear Data – EXACT WORDS, GEORDI! EXACT WORDS! 4. 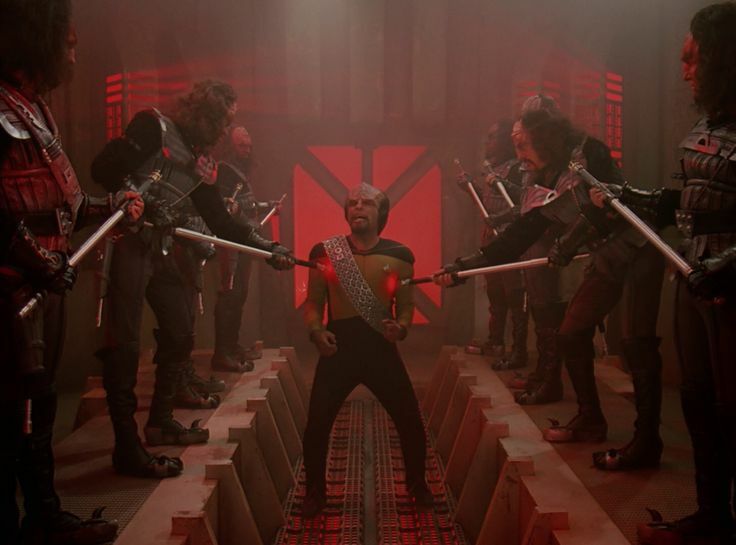 A Matter of Honor – Solid Klingon episode that really fleshed out a fair bit of their modern characterization. Klag goes on to be a major character in a book series I like, and he’s awesome. 3. Peak Performance – I’ve always had a soft spot for this one. Love the resolution and the “board game” subplot. 2. Q Who – An Important introduction, fairly frighteningly done, and a Q episode? Yup. 1. Measure of a Man – I’m not sure this one is even up for debate at this point, lol. The Dauphin, The Icarus Factor, The Emissary. Your list is good as well! 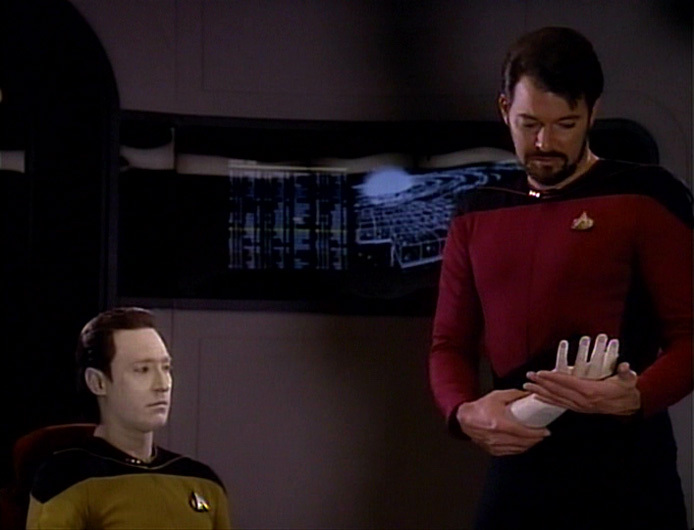 Gah, I really should start watching TNG! I haven’t technically watched all of TOS, but all I have left are the sexist and crappy ones, haha. Any recs on what episode to start with (and should I start with season 1?). The sexist and crappy ones, lol. Well, I’m a big proponent of watching all episodes, but if you want to skip crappy and sexist episodes, you might just want to skip season 1 of TNG and go straight for season 2. Though if you check out my Top 5 for season 1 I found that there were at least a few decent ones there. I will also say that even though I don’t like the pilot episode, it’s kind of important to watch if you watch the last episode, because it ties back. Thanks! If the pilot ties back to the last episode, I’ll probably start with that one. Measure of a Man is *SO* good. I keep meaning to watch the extended version on the blu ray set but I haven’t got around to it yet. I need to do that sooner rather than later. 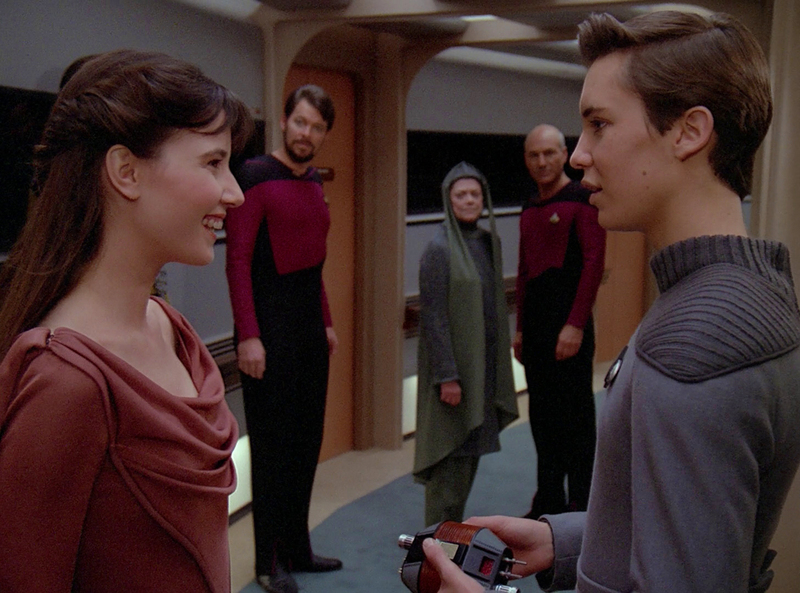 Really my only problem with Season Two is that I miss Beverly (and it makes *NO* sense that Wesley is still aboard given his mother isn’t there any more). Extended version on Blu-Ray?! I was not aware of this! Apparently the edit on the blu ray is just short of an hour long! I am definitely curious to check what new material is added! And yay Measure of a Man – it’s absolutely wonderful! Apparently Mick Fleetwood is underneath one of those fishy alien costumes, I learned when we watched the special features! smitten Wesley!! I learned the word Dauphin from that episode. The Measure of a Man is an awesome episode. I’ve seen it I don’t even know how many times. It’s thought provoking and there’s gravitas to it. The whole personal relationship between Picard and the JAG was odd, I never quite bought into that. But Riker and Data and the arguments Picard and Riker offer are all so awesome. I agree about the relationship between Picard and the JAG being odd. In fact, I found any romantic relationship with any woman he had odd except with Beverly. Clearly you can see my bias is showing through. I adore Q Who — dark, scary and totally amazing. 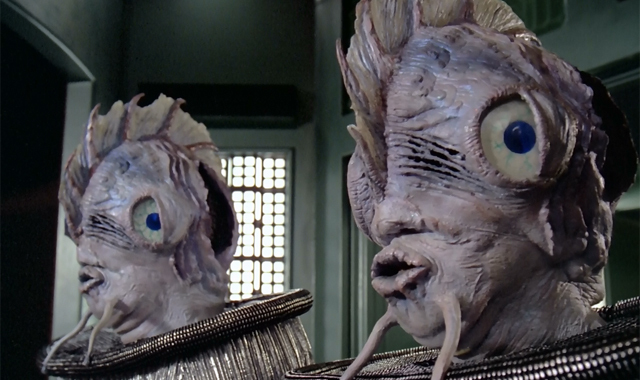 Dear heavens the Blu-Ray HD remastering….I wept openly at it.